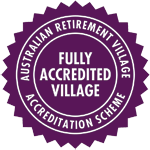 Terance Mews Lifestyle Village for the over 55’s in Mandurah is proudly owned by George and Kate Houston. 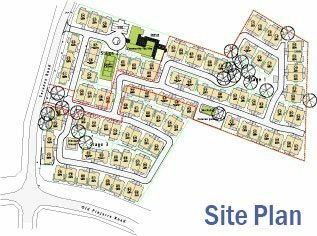 The village scheme is a 45 year Lease in which the residents gain the benefit in the growth in the market value of their home. These homes boast cement rendered finishes and colourbond roofs which come in a choice of four different designs. Each home has 2 bedrooms plus study, 2 toilets and large living area opening onto an alfresco area under the main roof. The large single garage which opens directly into the house has a storage area built into it and a remote controlled door. We have a Community Centre which provides excellent social activities with a modern kitchen, bar, dining room, games area, library and craft room. Also included on the grounds are a workshop/hobbies centre, half tennis court, caravan parking and village bus. The parkland setting of the village features mature Tuart and Red Gum trees, gazebo and seating will allow the residents to enjoy the abundance of native birdlife in the area. Our office is open Monday to Friday 9am – 4pm.